Welcome to www.stuarthillonline.com - the official website for author and artist Stuart Hill. Stuart Hill is the award-winning author of the acclaimed Icemark Trilogy of historical fantasy novels. 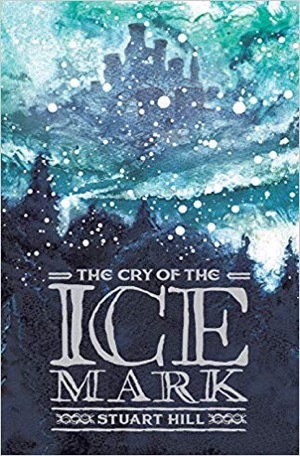 The Cry of the Icemark was published in 2005 by Chicken House and won the inaugural Waterstones Children's Book Prize the same year. 2013 saw the release of the first prequel to the Icemark series entitled Prince of the Icemark. Stuart's novels have been translated into 18 languages and he is invited to many schools and festivals to talk about his work. Stuart was born and brought up in Leicester. As well as being a writer, Stuart is also an artist and has exhibited his work in many galleries throughout the Midlands region of UK. Visit the Art page to find out more. To mark the fifteenth anniversary of my book The Cry Of The Icemark winning the inaugural Waterstone's Book Prize, my publishers are relaunching the book with a new cover!